At Coast Valley Moving & Storage, we have been overseeing out-of-state moves from California for more than 40 years and we have what it takes to complete any interstate move, no matter how complex. With our BBB accreditation and ProMover status, you can trust that we have the skills needed to handle all of the details of your state to state move. Our San Clemente interstate moving company will make your move easy by creating a customized moving plan that has been crafted to meet your unique needs. This way, you’ll know exactly what to expect during your move and you can be sure that your move will be completed according to a schedule that works for you. Our state-to-state moving professionals have served the community for years, so we have the kind of local insight and expertise that will ensure your move can be completed on-time and on-budget. As an interstate agent of Wheaton World Wide Moving, we have access to resources and industry expertise that will ensure your out-of-state move goes smoothly. 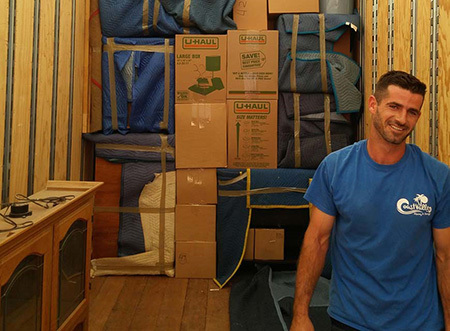 Want to learn more about how Coast Valley Moving & Storage can make your interstate move simple and stress-free? Give us a call or fill out our online form to request your free no-obligation moving estimate today.